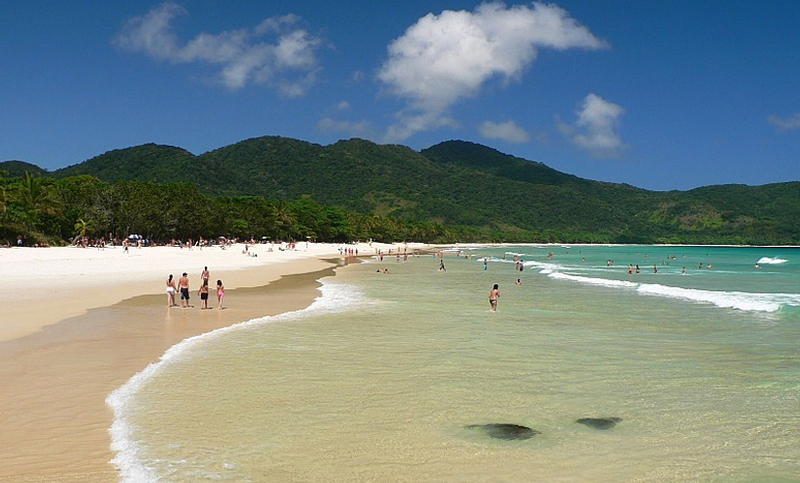 Ilha Grande, which means "Big Island" in English and is 11 times the size of Lopes Mendes. Ilha Grand is located by the coast of Rio de Janeiro state It is famous for its scenic spectacle, which includes tropical beaches and a rugged landscape making it one of the richest ecosystems in the world. It also houses some of the endangered animal species in the world. 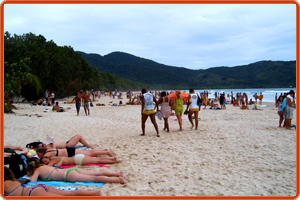 The most popular beach of Ilha Grande is the Lopes Mendes Beach. It is an ocean beach, about 3 km long, with white sand that is very fine and firm. Although the sea is choppy, the transparency of the water is very clear as is its shades of turquoise. The beach had a sizeable local population a while back, but due to limited availability of potable water its stands deserted now a days. The beach is a very favourite point for surfing. Youngsters always land up at the Lopes Mendes Beach to practice surfing because of favourable wave currants.